Shipping Services to Kuwait from U.S. Shipping to Kuwait takes a lot of preparation and can turn into a very stressful process for an individual that’s unfamiliar with the procedures and regulations of the country. It’s vital that you work with a shipping company that is experienced to avoid any additional charges or detention upon arrival with your cargo. Fortunately, we have shipped thousands of vehicles, personal effects and other goods to Kuwait since we first started in 1977. 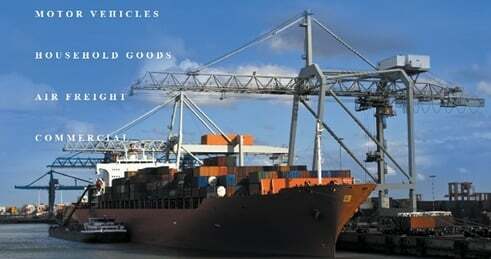 Whatever it is that you’re looking to ship, we offer comprehensive services that cover everything on the export side. Our shipping services to Kuwait include picking up your vehicle or household goods here in the U.S, clearing customs, full dock receipt and inspection with tracking information available to you. In addition to the more common methods of transporting cargo, such as container shipments and roll-on roll-off, air freight is also an option we offer to clients. Although air freight is much more expensive than the other shipments types, it’s not only the fastest but Kuwait in particular doesn’t impose a duty on some types of personal effects shipped by air. However, all household goods and vehicles you ship to Kuwait are subject to a duty or tax of 5%. The five percent is assessed based on the cost of the goods, plus insurance and freight. Having the right documentation is always a must and even more so in this case because every single shipment that arrives is open to inspection. Our team members and agents that handle customs in the U.S and Kuwait have years of experience and they’ll inform you on everything that’s needed in addition to the most common listed above. If you have a specific request, you can always call us at (562) 408 6677 and we’ll be happy to help you. For every shipment, we look at the specifics and we’ll always suggest the best options and departure locations to give you the most competitive rates. However, all of our containers departing from in the U.S., use our port of entry in Kuwait City. The exact route used will vary but our shipping services to Kuwait utilize this port. In general, we try to have the goods leave from one of our east coast locations for those shipping to Kuwait and other parts of the Middle East, but this is something that you can discuss with your sales contact. As touched on earlier, there will be destination fees levied at 5% CIF and these fees are not included in our quotes because of the exchange rate factor. Kuwait is very stringent when it comes to importing personal effects and many of the things which are prohibited for individuals to bring might not cross your mind. Goods like books, pictures, magazines, movies and music can all be confiscated in addition to being subject to censorship. Other than the obvious items, things such as alcohol, products of Israel, most communication equipment, pork products and gambling equipment are not allowed. The amount of time it takes to ship cargo to Kuwait varies by method, shipment size, departure ports, etc. Generally, once we have a full container (if using ocean freight), your household goods or other items will be on the water between 5 and 7 weeks. It’s a long voyage however so this number is an estimate as unexpected changes can occur.